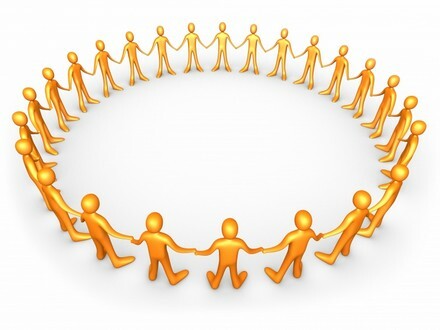 Health 2.0 Empowers Patients & Collaboration Just as Politics Worries Doctors! Are independent medical practices an endangered species? Writing for Time – journalist Bonnie Rochman divulged the ramifications of patients sharing information and tips online, an “empowerment movement” she calls “Patient 2.0.” And, in an investigative report, she profiled the newly created Society for Participatory Medicine, which “encourages patients to learn as much as they can about their condition to help doctors support them on their data-intensive quest”. Moreover, the NEJM recently said that 50% of physicians will leave medicine within five years because of ObamaCare [Patient Protection and Affordable Care Act]. YET – BE NOT AFRAID! Join us and re-engineer your medical practice to succeed as a participatory physician in the modern era. 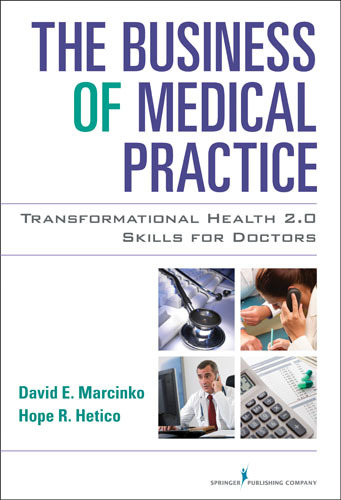 “This is an excellent book on medical practice management for physicians and health professionals. It is all inclusive yet very easy to read with much valuable information. And, I have been expanding my business knowledge with all of Dr. Marcinko’s prior books. I highly recommend this one, too. It is a fine educational tool for all doctors”.